Know an organization that would be interested? 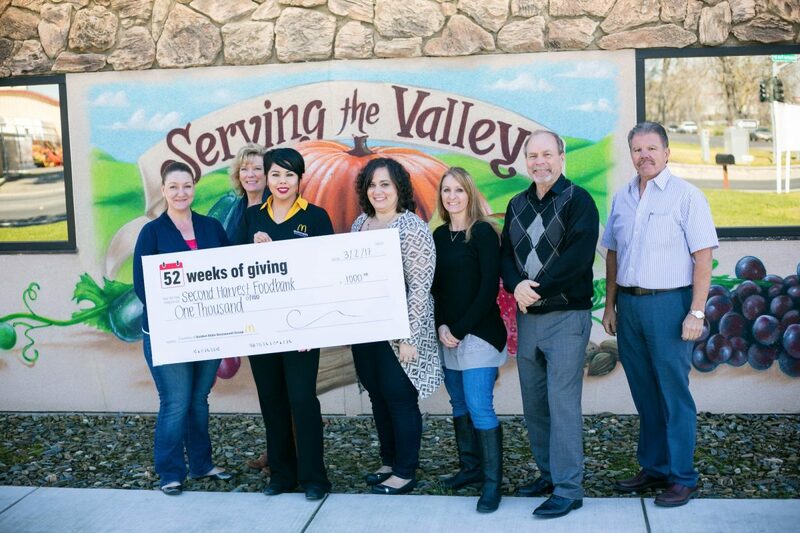 Golden State Restaurant Group is proud to be donating $1,000 each week for the 2017 calendar year. 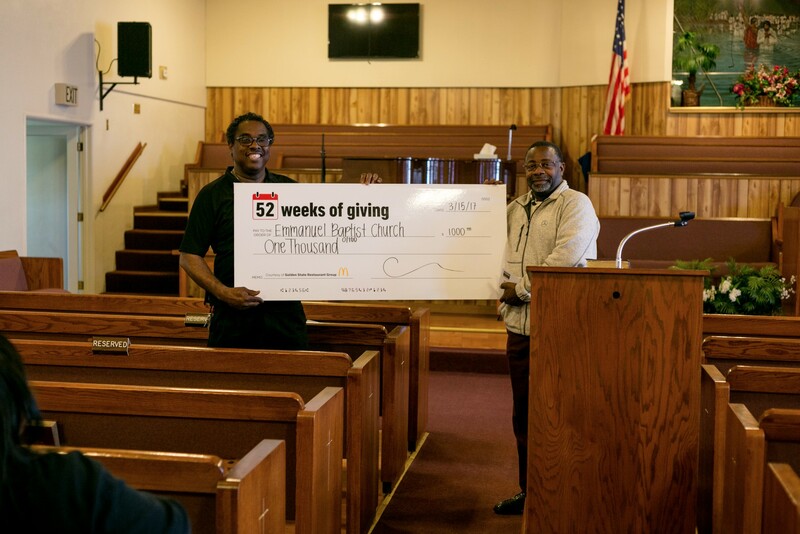 Our 52 Weeks of Giving campaign will be granting funds to worthy non-profit organizations in our community. 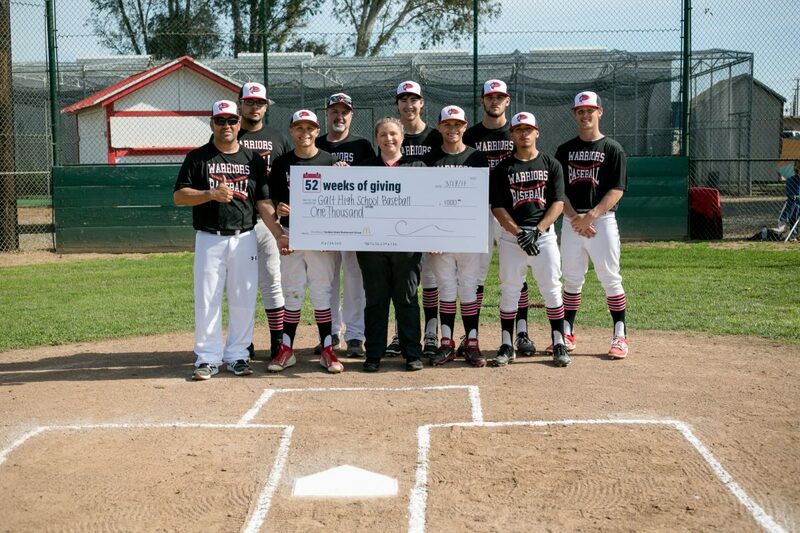 If you represent a non-profit in our community, we welcome you to fill out the organization contact form for a chance to be considered for one of our $1,000 donations. Organizations we recently gave to! 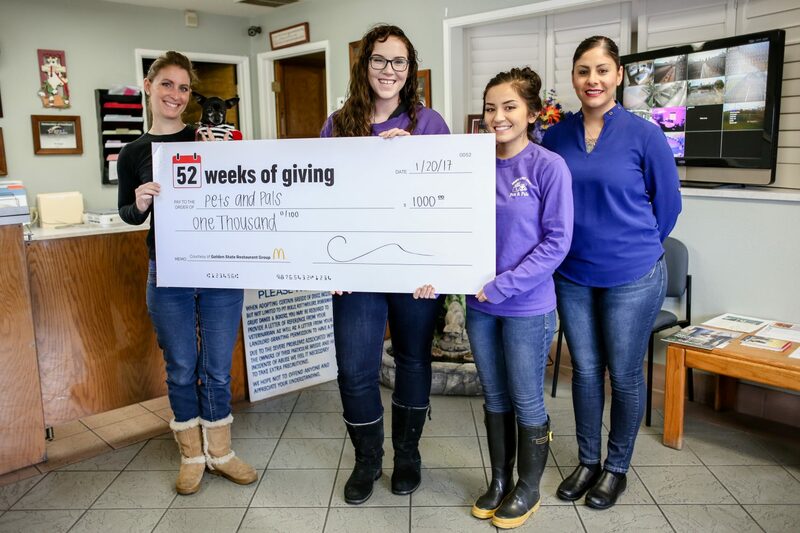 Pets and Pals is a no-kill shelter, and has served its community for over 20 years by rescuing and sheltering animals from the streets. 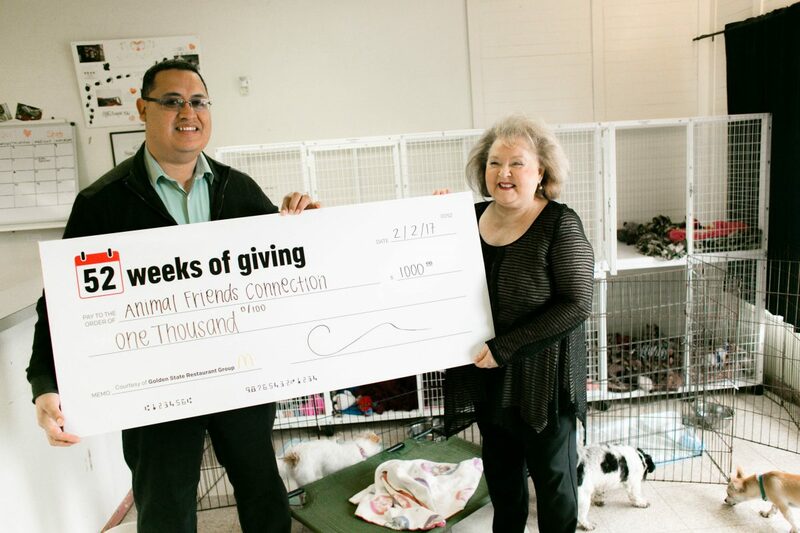 Primarily a volunteer humane society, Animal Friends Connection works tirelessly to find permanent, loving homes for pets in foster care and rescue networks. 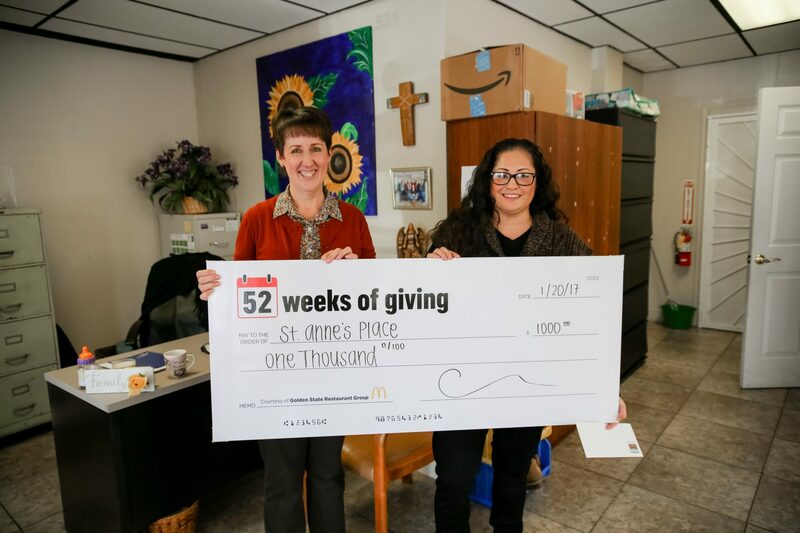 Born out of faith, St. Anne’s Place in Lodi has been serving the needs of homeless women and children since 2013. Founded in 1926, Emmanuel Baptist Church has been providing spiritual guidance and supportive networks to the Stockton community for over 90 years. Established in 1911, Galt High School has been serving its community with excellence in education and athletics for over 100 years! 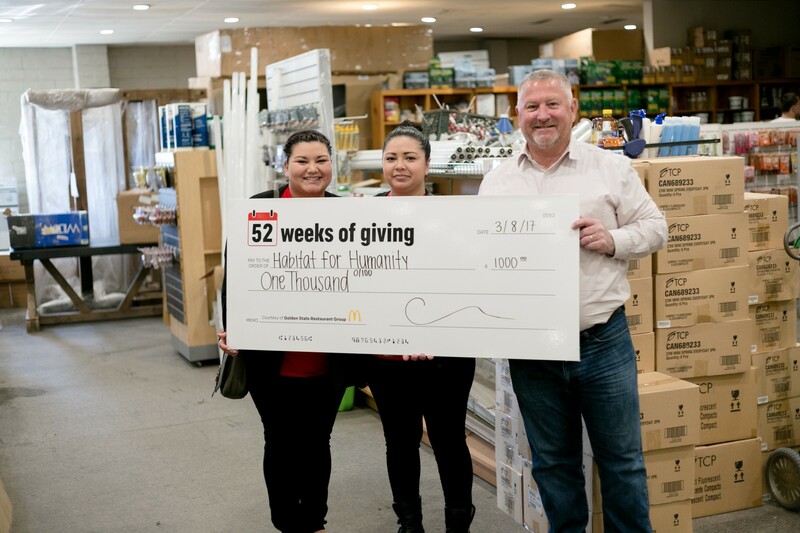 Driven by the vision that everyone deserves a decent place to live, Habitat For Humanity brings people of all backgrounds together in partnership with families in need—to build homes, communities, and hope. Habitat for Humanity has provided more than 2.5 million people in more than 3,000 communities, with safe, decent, affordable shelter. 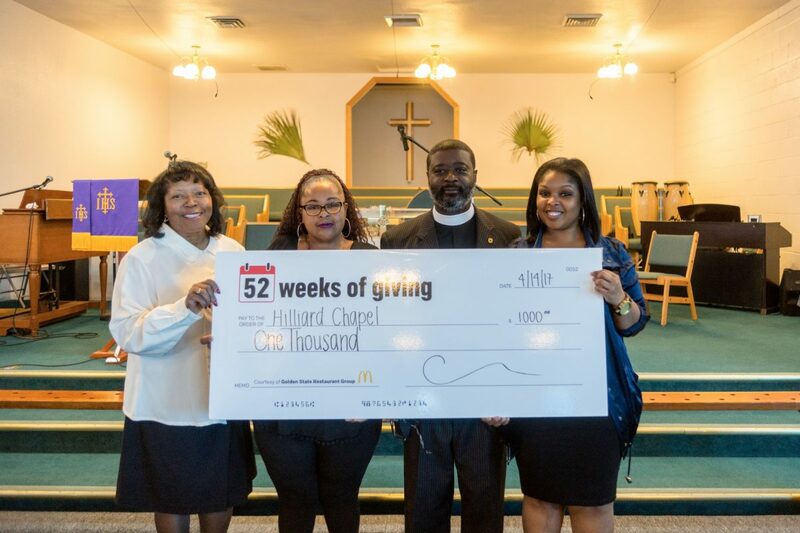 Hilliard Chapel is devoted to helping the less fortunate and transforming lives through generosity and compassion. 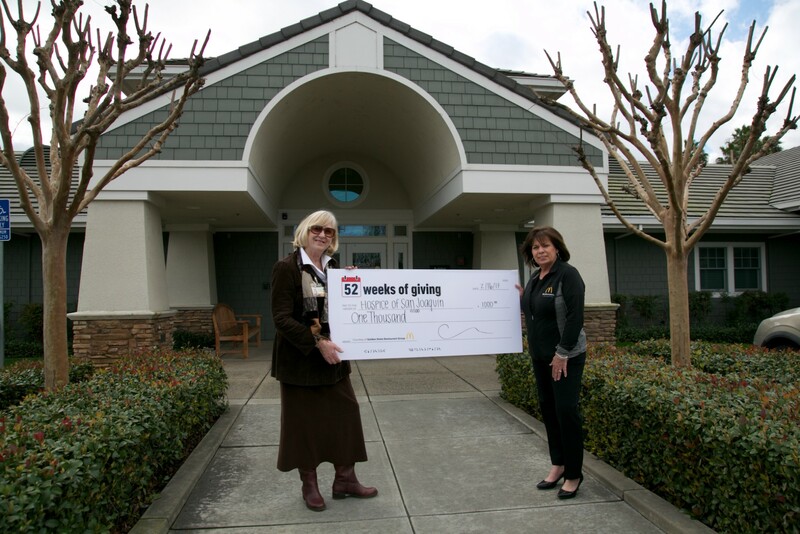 Hospice of San Joaquin provides comprehensive and compassionate medical care, counseling, and support to terminally ill patients and their families, regardless of their ability to pay. Until 2014, Lockeford was one of the few areas in the county that did not have a community center. Friends of Lockeford Memorial Park exists to support the Lockeford Community Services District and aid them with their plans to facilitate a public space for the community. Second Harvest Food Bank is committed to fighting hunger by providing and distributing food to those in need. 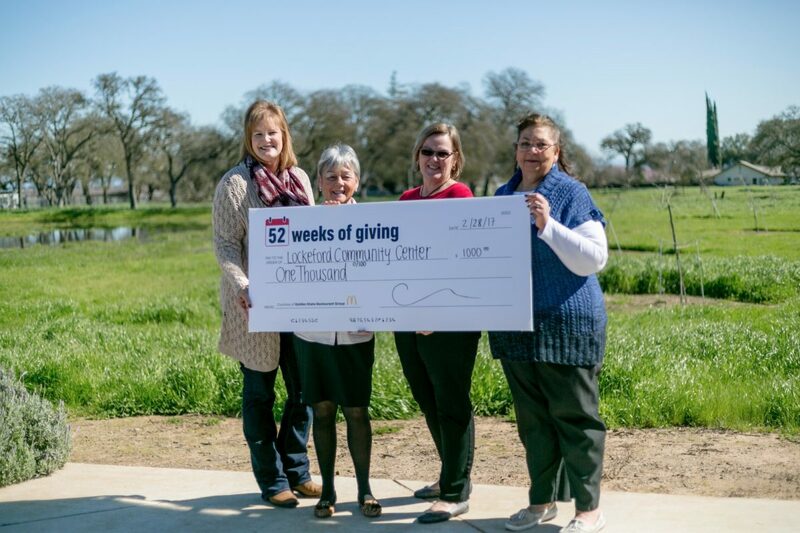 Through their various programs, the organization helps more than 30,000 people every month throughout San Joaquin and Stanislaus Counties. 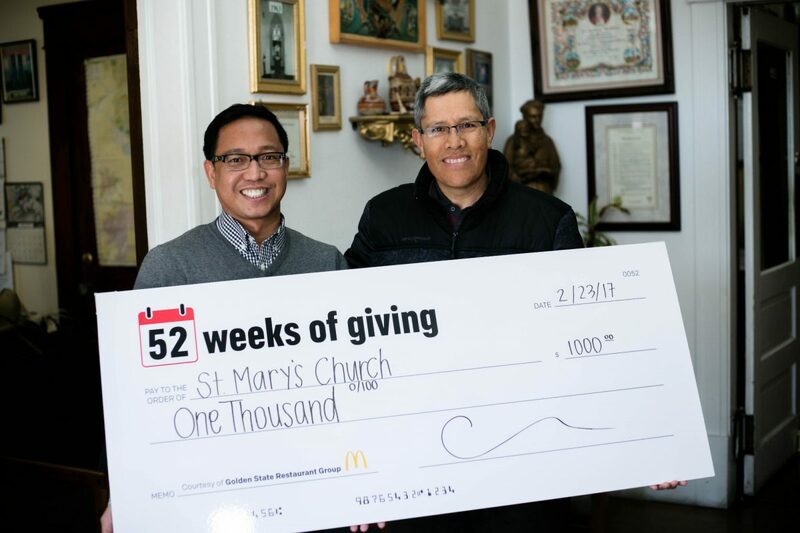 A vibrant community of faith, St. Mary’s of the Assumption Church was built in 1861. The church offers charity and hospitality to all people—continuing to provide healing, teaching, hope, and strength to thousands of people. 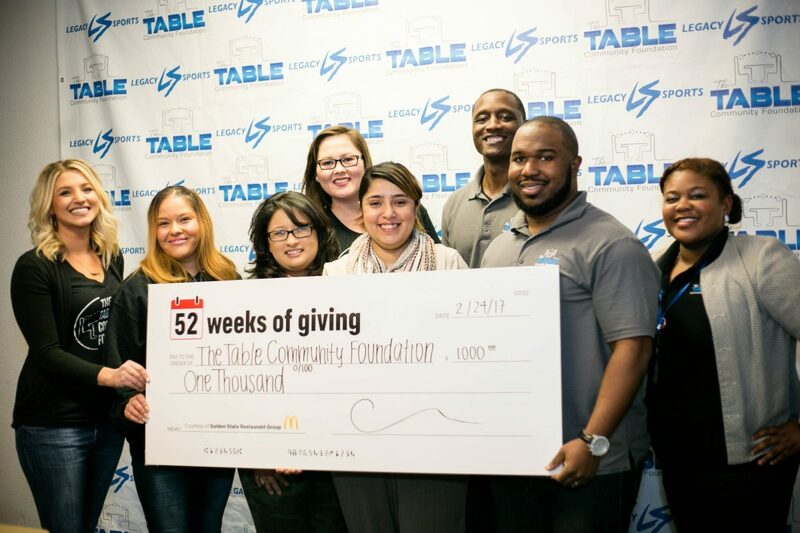 With the belief that a child is a product of the opportunities made available to them, The Table Community Foundation actively empowers and partners with the community—providing them with the tools and resources necessary to build a safe place to live, work, and play. Tully C. Knoles School has been guiding students to be productive citizens in our community since 1957. 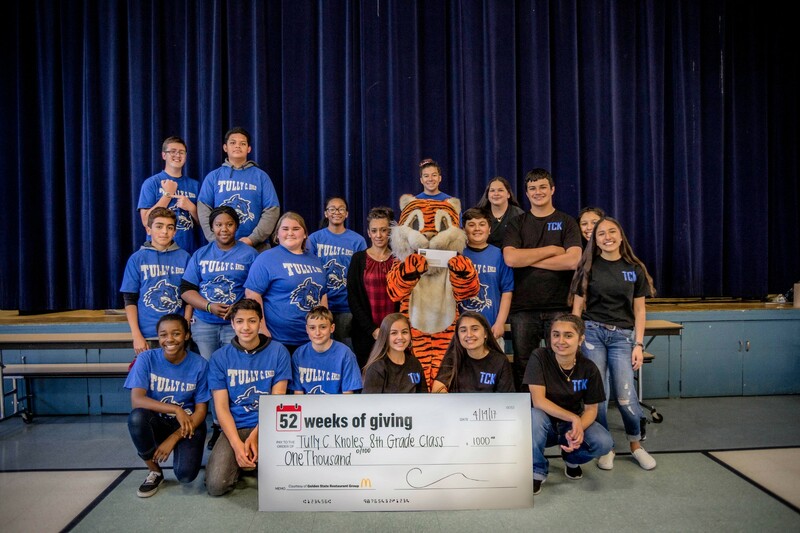 The 8th grade fundraiser encourages kids to get involved to better themselves and their education, putting them on the path to reaching their true potentials.